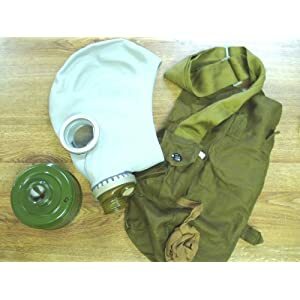 This is a brand new in the box civilian model gas mask. It is designed to keep you alive in the event of a nuclear, biological or chemical attack. It is imported by Evirstar Defense Products and has a model number of GP-5. If comes with a new unopened filter and inserts for antifogging.